•	Zika Virus – though symptoms are mostly mild and most of the cases do not require hospitalization, Zika is still alarming as it can cause lifetime health hazards. 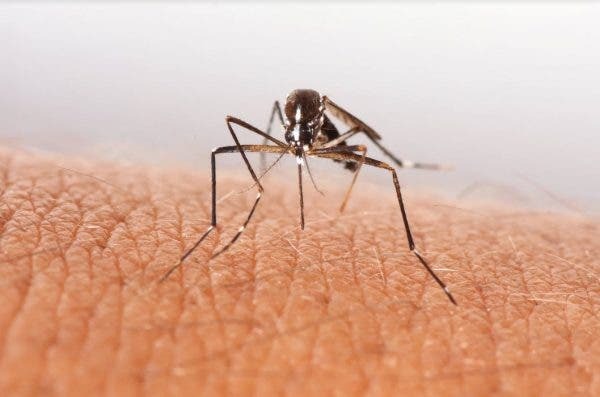 It was reported that there have been cases wherein women who are pregnant at the time of Zika infection may pass it on to their unborn child and can cause microcephaly. •	Chikungunya Virus – almost as close to dengue as far as the symptoms and effects are concerned only that this virus is a bit milder than dengue. Sharing the same symptoms such as muscle aches, joint aches, headache and rashes may look like dengue, but Chikungunya is less fatal. •	Dengue Virus – According to the World Health Organization, 50 to 100 million cases of dengue occur each year. This is the most common and most fatal virus. If not properly and quickly treated, dengue may result to death. That’s why it is important to avoid mosquitoes to lessen the risk of diseases caused by them. In order to prevent mosquitoes from invading your homes and spreading diseases, use a mosquito killer spray that actually works. 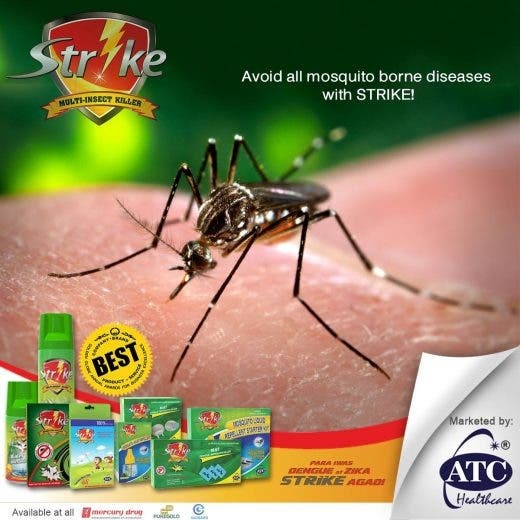 Strike Mosquito Killer Spray is the answer to your mosquito problems. •	Water-based which does not stick or stain the furniture. It’s also non-toxic which makes it environmentally friendly and would not cause harm to pets and plants. •	Has a carnation scent that do not cause irritation and allergies. •	Very fast acting and long lasting. It doesn’t need to be sprayed over and over because it can keep mosquitoes away for a long time. It is built in such a scientific way wherein the contents get emitted in UNIFORM quantity and amounts of all components, particles and ingredients come out fully CONCENTRATED which disperses quickly but stays in the area for a longer time. Compared to other insecticides, Strike Mosquito Killer Spray has a remarkable canister that allows maximum usage of contents while other brands may have faulty canisters and spray spouts that no longer spray with good quality as time goes by, this one gives a fine flow until the last drop with 99% atomization or fine mist in every spray!